Volkswagen’s future may be electric, but it hasn’t forgotten about its enthusiasts. 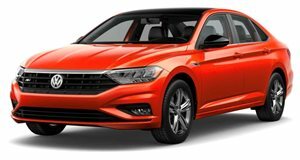 With Volkswagen still recovering from the disastrous dieselgate scandal and focusing on its future direction to become a leading electric car manufacturer, you would think it’s . While the last few Volkswagen concepts have been , these five one-off concepts are designed solely to entice enthusiasts. Volkswagen will be showing them off at enthusiast events throughout the summer, starting with the SOWO European Experience between May 19 and 21. The Golf GTI RS Concept by enthusiast Sam Dobbins, Creative Director at Vossen Wheels, is one of the most striking cars in the fleet that amalgamates different car cultures. The Rocket Bunny widebody kit was inspired by Japanese car culture, and to make it stand out from the crowd Dobbins ensured the sheetmetal was honed to eliminate wheel rub. Unlike other cars with similarly outlandish modifications, this show car doubles as a comfortable daily driver, and rides on Vossen wheels. The interior features a polished aluminium floorplan, race-inspired seats and other accents that complement the exterior design. 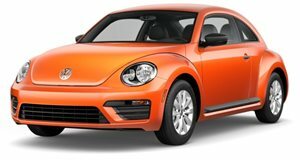 Next we have the beloved Beetle that's been beefed up with R-Line trim, 19-inch ‘Mr. Drama Queen’ wheels by upcoming company Radi8, and a ride-lowering H&R Springs Street Performance Coil Over to give it a sporty stance. Hopefully that will satisfy enthusiasts . It’s also fitted with two custom GW bikes by professional BMX rider Alise Post, which explains why it’s called the Beetle Post Concept. 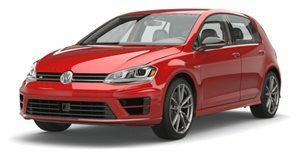 For the Jetta GLI Nardo Concept, VW has made the unassuming performance car stand out with a Nardo Grey finish that highlights its sporty lines and a H&R Springs Street Performance Coil Over system. Throughout the show season, it will ride on different HRE wheels starting with FF01 Flow Form series, finished in Tarmac. In contrast, the Golf R Heritage takes a subtler approach, leaving the hot hatch close to factory specification. As a tribute to its German heritage, it features a striking stripe package in the colors of the German flag and a white lower rocker accent stripe pattern. It also rides on Vossen wheels finished in gunmetal and polished anodized silver, and the car has been lowered using a sport spring package from H&R Springs. Finally, the Golf Alltrack Country concept was inspired by the Golf Country Special edition sold only in Europe. 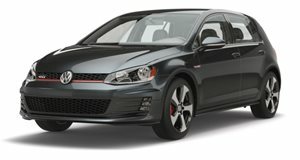 Essentially a Golf designed for off-roading, it has more suspension travel than a traditional Golf, as well as four-wheel drive, higher ground clearance, and brush guards. The concept features a further two-inch suspension lift and 15-inch wheels, and fog lights have been integrated into the lower bumper. Elsewhere, the concept has everything a weekend adventurer could possibly need, including a roof-mounted tent system, solar panel, a curved LED light bar, and a solar-heated shower. There’s even an entertainment system in the trunk, complete with a media computer mounted into the spare wheel well.